Recently my love of baking has be reignited, what with The Great British Bake Off being on TV, and me reading a couple of baking related novels, I couldn't wait to get stuck in. I thought I would share with you a few of the things that I have made over the last few weeks. First up I made this Chocolate and Vanilla chessboard cake with Caramel feathered icing. This cake was pretty challenging, as I had to pipe rings of each mixture into the tins, and the mixture was quite runny and my piping bags were not working in my favour. When I took the cakes out of the oven, I was sure this cake was going to look ridiculous. Nevertheless I iced it and crossed my fingers, thankfully when I cut into it, it was pretty good, not perfect, but pretty good! My brother came over to stay last weekend, and we decided that we wanted to bake something together. 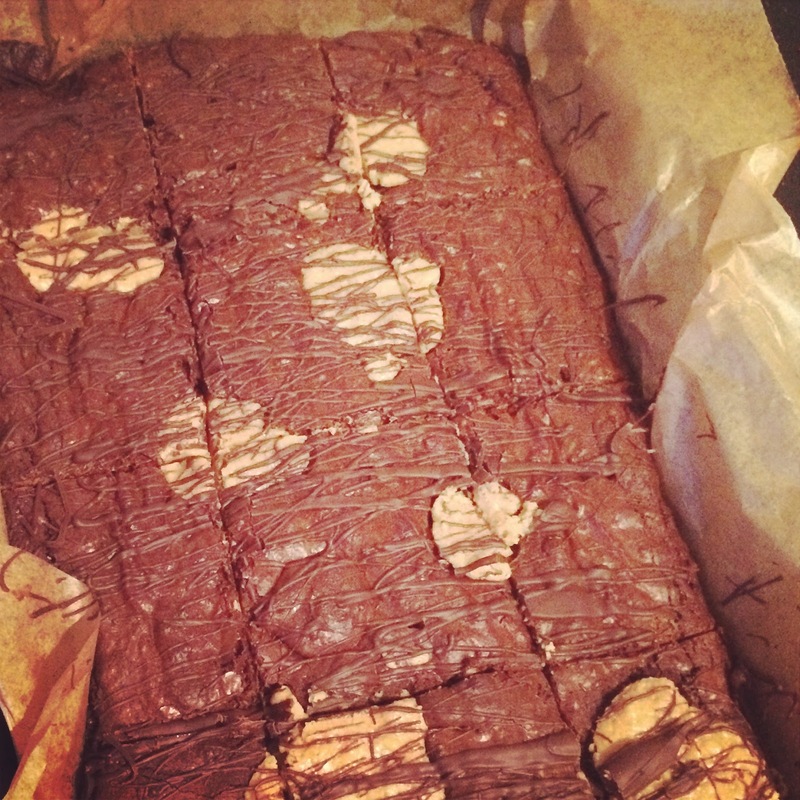 After thumbing through every single baking book I owned we settled on a recipe from the BBC website for peanut butter brownies, they turned out brilliantly, and they were certainly fun to make. 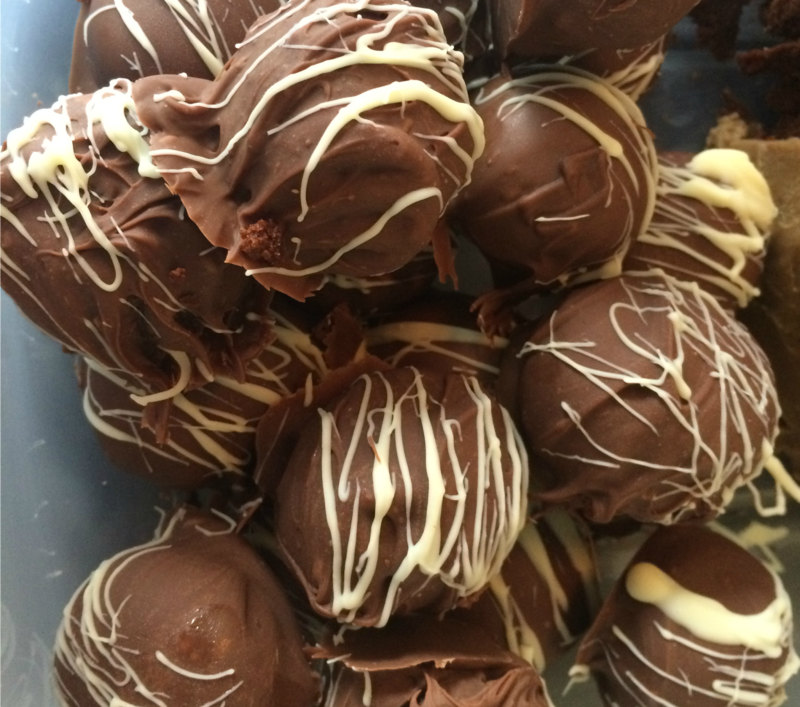 These are something I make a lot, as they are so easy and yummy, and they are chocolate covered cake bites. All you do is make a basic cake, pop it in a food processor, mix the crumbs with icing, roll into balls, and cover in chocolate. These were actually made with the left over cake mix from the Chessboard cake. I took these over to my Boyfriend's brothers house when we visited last weekend, and they went down a storm! I actually only finished this cake this morning, as it's for my nan's birthday today. 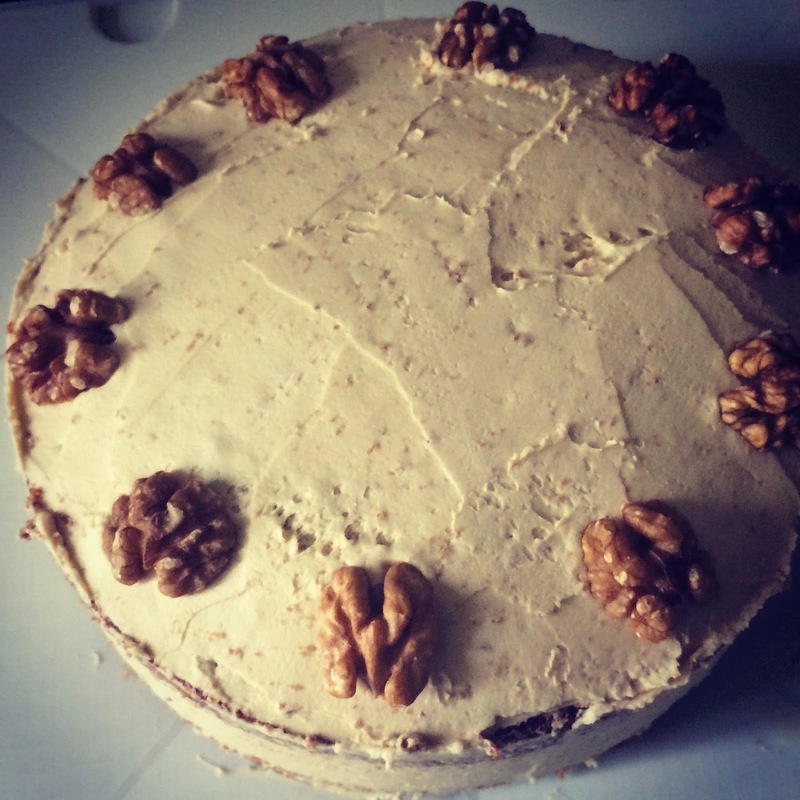 It's a coffee and walnut cake, which is her favourite, and the recipe is by the one and only Mary Berry, and you can check that out here. 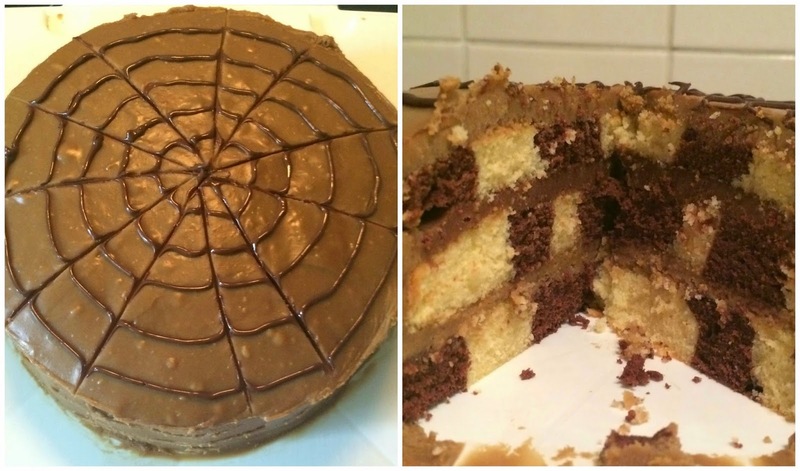 This cake was pretty straightforward, apart from my layers didn't rise enough, so I had to make a sneaky third one, but I won't be telling my nan that the recipe didn't work out as it should have! The icing on this cake is amazing, with a very subtle coffee flavour. I'm taking this over to her later, so I can't wait to see if she likes it! This recipe caught my eye when I was catching up with the GBBO Masterclass Episode Three yesterday morning and I just knew I had to give it a go. 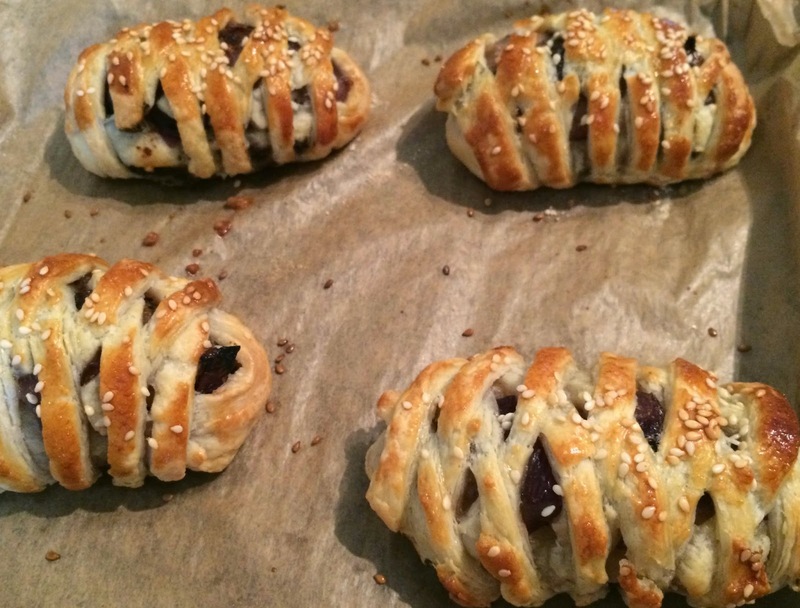 These are Paul Hollywood's Mini Sausage Plaits, or as he called them on the programme, 'Either a posh sausage roll, or a poor man's wellington'. This was probably one of the most difficult recipe's I have ever undertaken, considering the four different components, and having to make a shortcrust puff pastry, which I have never done before. These were also only made today (well I made the pastry yesterday), and they turned out much better then I expected, and the taste is like nothing I've ever eaten. I can't wait to see my families faces later when they tuck into these! Let me know in the comments what your favourite is of all my bakes, and also let me know what your favourite GBBO recipe was from this season, and I might give it a go! OBC #14: What's on my Playlist?